The third degree in Usui Reiki is a highly empowering experience. It brings us the sacred gift of the Reiki Master symbol. This symbol is light itself. Being attuned to this symbol is like receiving a ticket to meet God/the Divine/your Higher Self/Spirit. Personally, this is my favourite symbol and I love working with it. I find that it is a powerful energy cleanser. It leads us on the path to Spirit and encourages us to grow spiritually. The third degree is all about healing at the level of the soul. The third degree expands our energy and thereby helps shift our perspective on life. We begin to view our lives and the world at large through the eyes of Spirit. We learn to recognise the eternal energy of Spirit that resides in the transient physical body. This awareness helps us feel lighter, happier and more content. It brings a sense of peace and calm to Earthly life, which many people find distressful and difficult. The third degree aligns us with our life’s purpose. Each person has a specific life purpose covering different areas of life. It could be a specific career that brings blessings to the world. It could be caring for a family or caring for oneself. It could include parenting. It could be all about creative exploration with music, dance, art etc. It could include just about anything that each person’s soul has chosen, including a combination of many things. 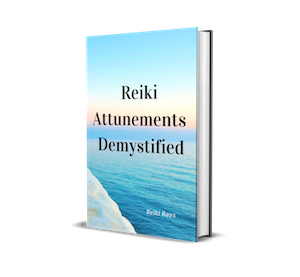 And for a lot of Reiki practitioners, it would certainly include spreading the light of Reiki on our lovely little planet by creating awareness, offering healing and teaching others about Reiki. The third degree makes us increasingly sensitive to the higher dimensions of energy. We uncover our potential to tune into the realms of the Ascended Masters, Spirit Guides, Reiki Guides, Angels and also our Star Family (which refers to other higher stars and dimensions outside of the Earth plane where our soul is likely to have incarnated). Psychic abilities such as channelling, clairvoyance, clairsentience etc begin to surface and acquire strength. The third degree helps expand our understanding of the Universe and our role in it. It opens up our inner reservoir of wisdom, thereby helping us independently find the answers to our most pressings questions on life. It is important to remember that every practitioner’s journey is different. Everything mentioned above need not apply to everyone who gets attuned to the third degree. This article offers a general overview of the potential for growth offered by the third degree. Getting attuned is only the first step. Staying committed to the path is what allows the potential of the third degree energy to illuminate our lives. If you are a second degree practitioner, I encourage you to soar higher by getting attuned to the third degree, when you feel ready for it of course. Thank you so much! Reiki 3rd Degree has brought me so many unexpected blessings: more love and appreciation for people & nature, greater intuition, a spiritual bond & greater spirituality, deeper under-standing of music, less interest in material things, etc. besides healing for others who were in great need. This article is very edifying.